There is something about the tranquillity of a forest, especially in a world where everything is so rushed. 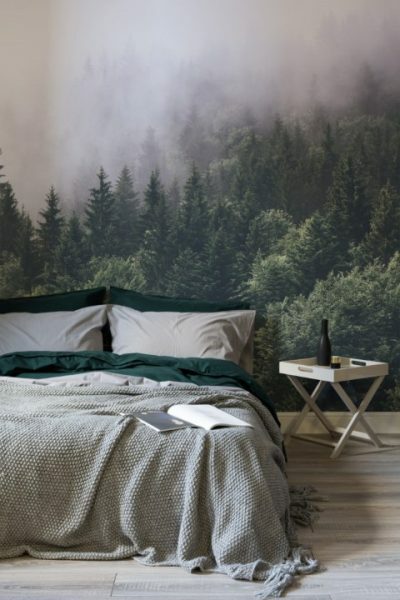 This beautiful forest wallpaper would look amazing in any room and is especially nice to come home to after a long day at work. 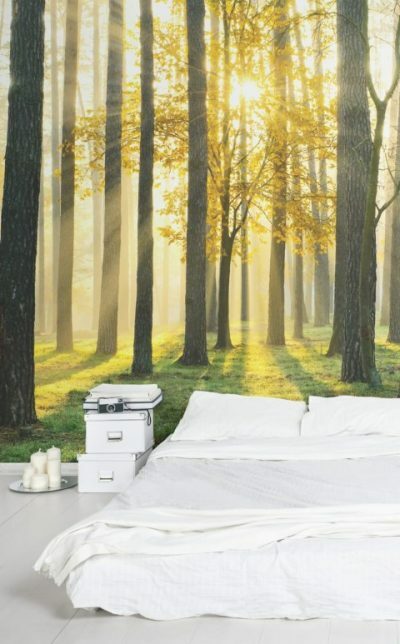 In the bedroom waking up to this astounding forest picture wallpaper can help you to have the best of both worlds. The beauty of the great outdoors without the creepy crawlies. It’s like having your very own picturesque view from the comfort of your own home. You can almost envisage this beautiful woodland. There is no need to wait for summer to enjoy the beauty of the great outdoors as you can wake up to it each and every morning without even having to book a holiday. 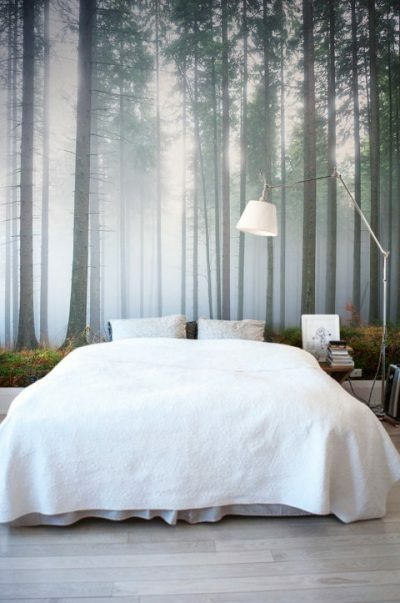 The thick density of the above-pictured forest wallpaper is something very few can enjoy from their own bedrooms. 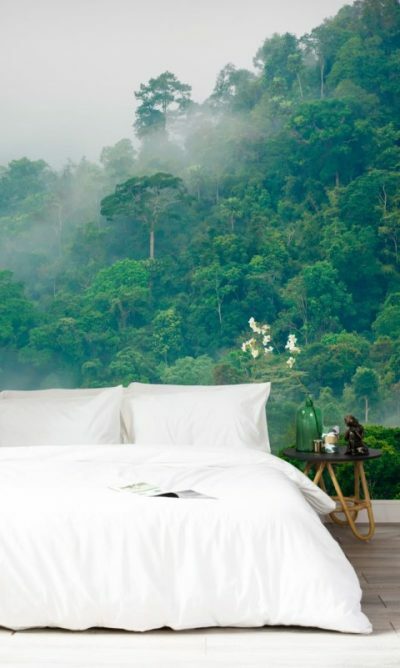 With this stunning wallpaper, you do not have to imagine the natural beauty displayed as this mountainous scene could be your bedroom backdrop. 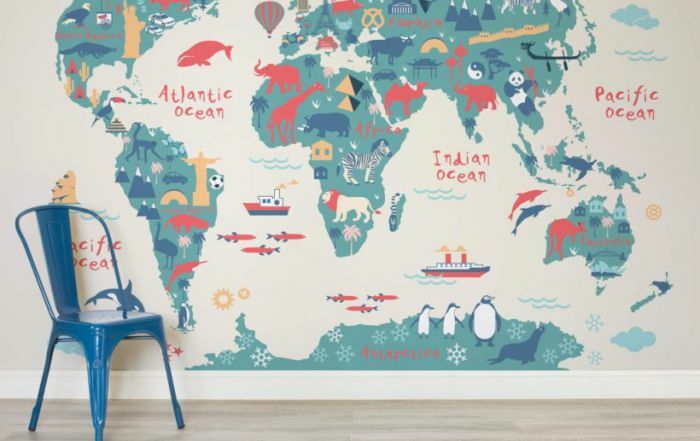 This wallpaper is like a natural pathway to anywhere you can imagine. The crisp clear image really takes you away from reality. Maybe there’s a hidden log cabin with a natural hot tub, or an undiscovered village waiting for you to explore. 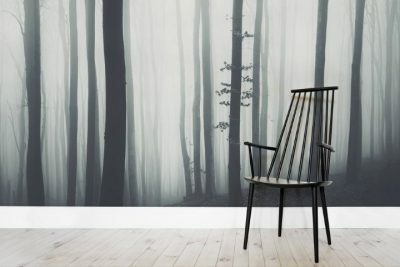 The mist only partially covers the dense forestry in this forest wallpaper. 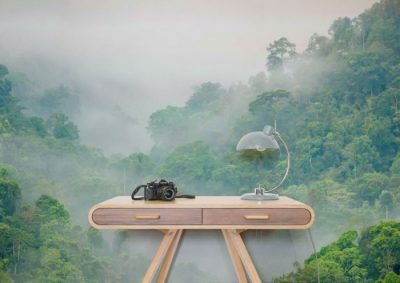 You do not need to book a helicopter ride to get a bird’s eye view of the forest. 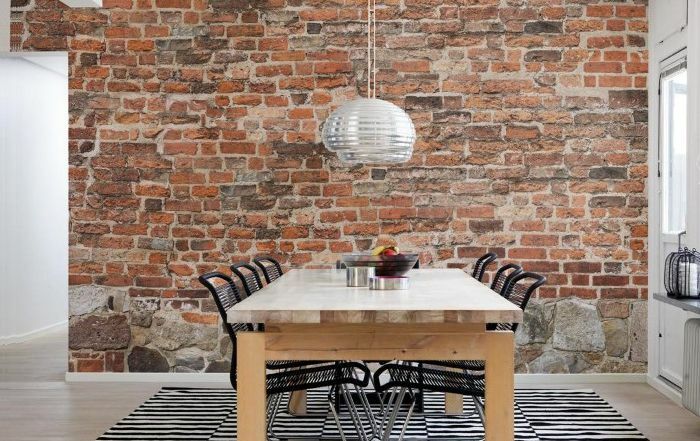 Instead, amaze your guests by entertaining them with this eye-catching backdrop. 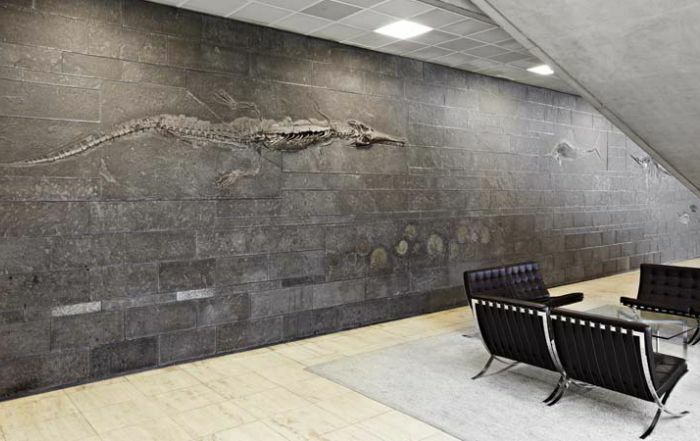 Bring nature into your home without the need for a coat. Whatever the weather you can imagine you are in a prestige apartment with this postcard-worthy image. It is like camping without the need to pitch a tent. 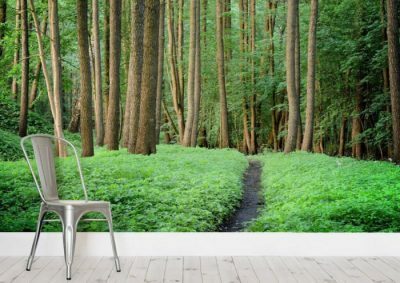 This print features trees standing apart from each other as if the forest itself has parted for you. 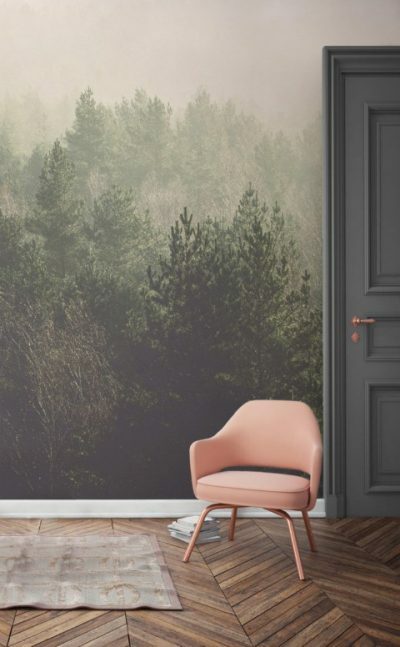 To open up any space to a pathway into the distance pick our Hunter’s Trail Wallpaper, where the woodland invites you in and shrouds you in welcoming mists. 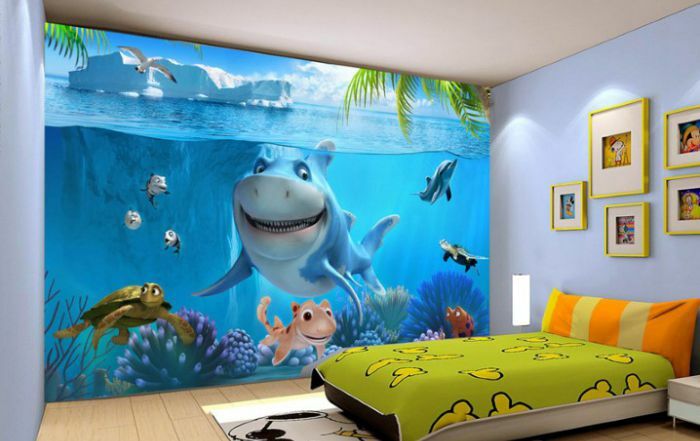 Even the grumpiest of people in the morning can’t help but smile when they see nature right inside of their home. If you have ever taken a woodland walk and wished you could take home more than a photograph, this scene is the perfect way to experience nature before even opening the front door. This wet woodland has been walked through by many as you can see by the footpath created by previous explorers. 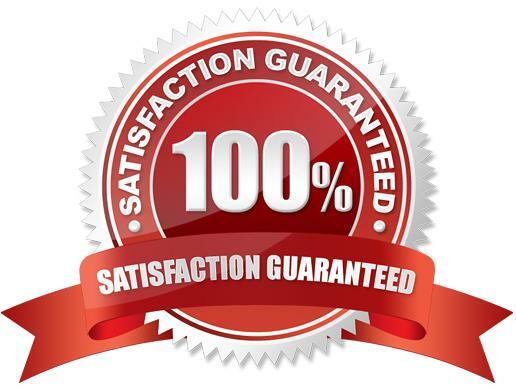 Rest assured you do not need your umbrella and walking boots. This could be your living room scene every single day. The suns blinding rays are shaded by the tall trees reaching up into the sky. 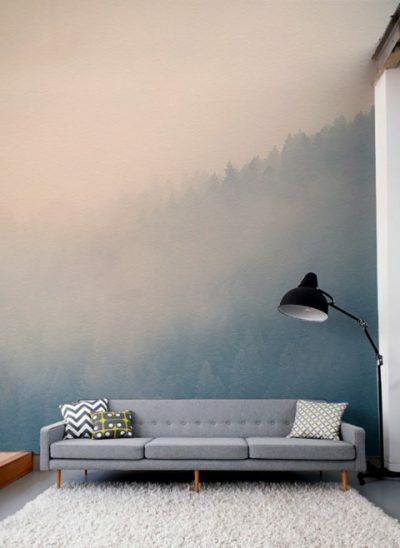 Everything goes with nature making this forest wallpaper perfect for any room in your home. 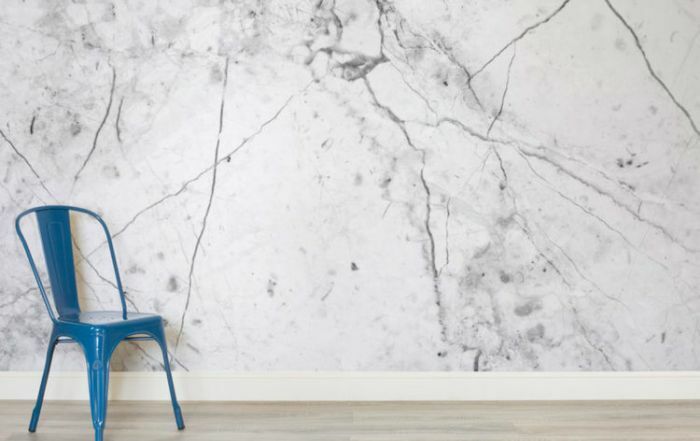 Whatever your furniture tastes you can be sure they will perfectly match your wallpaper. 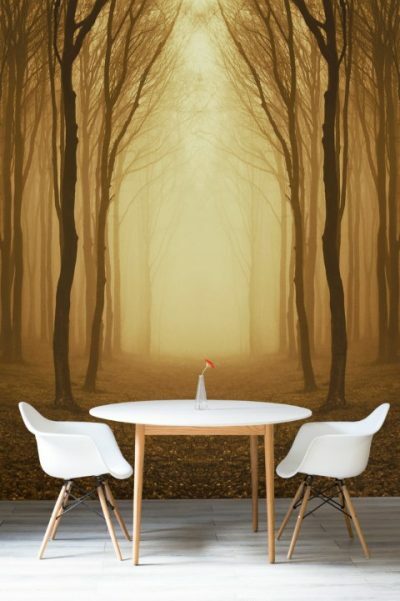 If you have ever wanted to have a beautiful view while you dine then this forest wallpaper is just perfect for your kitchen or dining room. 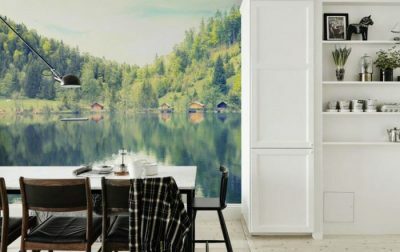 Whether you live in a crowded apartment building or a tiny bungalow you can make every mealtime better with views only nature can provide. 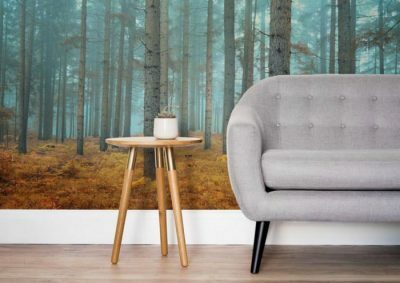 No one wants to be stuck indoors all day looking at the same four boring walls, but you really can turn your home office into somewhere you look forward to going by adding a touch of nature with this forest feature wallpaper. The mist in the woods above could be hiding numerous secrets. Imagine a beautiful waterfall that could be just beyond the trees, or wildlife peacefully roaming with no knowledge of you being nearby. 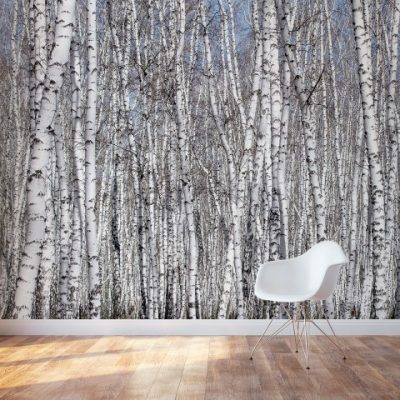 Used as a feature wall the secrets in the woods could be different for everyone who sees it. 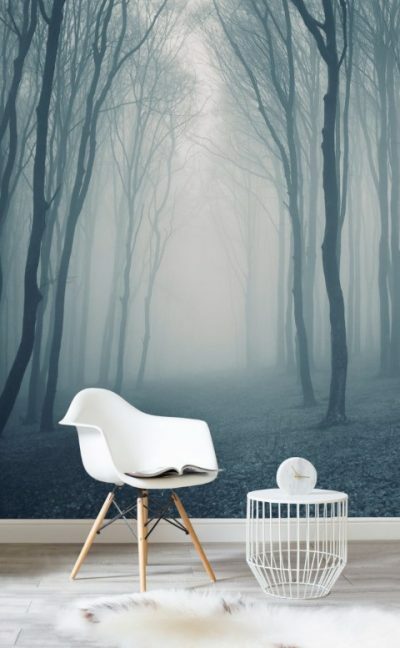 You can almost hear the birds singing high up in the trees of this breath-taking forest wallpaper. There is so much to be explored while you marvel at the natural white trunks of the trees pictured and all from your armchair, bed or kitchen table.